"I like that some companies are willing to take a different approach to gadget protection. Silicone and plastic models have their place, sure, but they're hard to get excited about anymore. 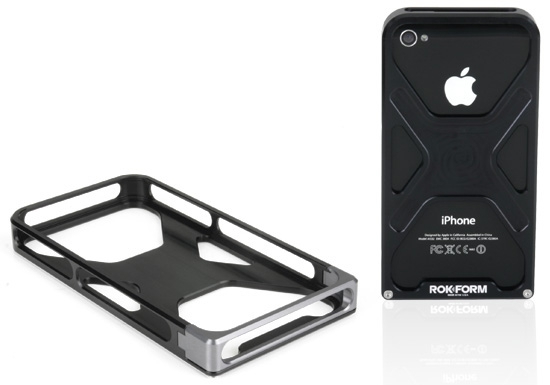 That's not the situation with RokForm's Rokbed Aluminum iPhone 4 cover. This is certainly not for everyone, but I have a feeling it'll find its audience." I think I might be part of that audience as I really like the looks of this case. Granted, it is spendy at $79.00 USD for the aluminum version (or $149.00 USD for the magnesium version), but the industrial design really looks good. It also comes in a variety of covers, more info at the Rokbed site.